﻿ The Working Process of Environmental Rich Mineral Paper - Shenzhen Stone Paper Enterprise Ltd.
Can paper be made from stone? This impossible question now is coming true, and it's very environmental as well as meeting the low carbon idea that is advocated by people. At present, in National People's Congress and Chinese People's Political Consultative Conference, the paper that committee members use is all made from stone. Now let's know this new rich mineral paper in detail. The making of Rich mineral paper is different from the traditional paper technology. With the limestone resource of large amount and wide distribution as main raw materials, and high polymer material and many kinds of inorganic substances as auxiliary raw material, it is a new kind of paper making technology that is recyclable by making use of high molecular surfactant chemical principle, filling modification technique and special process. Making rich mineral paper has a high requirement for the content of limestone calcium carbonate for over 95%. This technology can not only solve the problem of pollution caused by traditional paper making but also solve the problem of white pollution and waste of oil resources from plastic packaging. Firstly, extract the calcium carbonate from limestone and then mill mineral into high calcium 1500-2500 ultrafine powder. Secondly add 15% additive to 85% modified calcium carbonate to make master batch. Finally, make paper and bags through extrusion and blowing equipment. 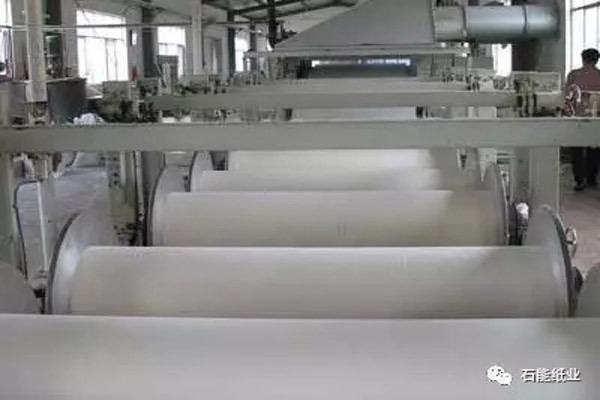 In the working process of rich mineral paper, there is no need for water and organic chloride like strong acid, strong base and bleaching powder. It don't have several important links which will cause pollution than traditional paper technology, such as stewing, washing and bleaching so that the pollution problems caused by three wastes in the process of producing paper can be rooted out. At the same time, its cost is 20-30% lower and its price is lower 10-20% than the traditional paper because its main raw material is cheap mineral flour. It has a wide range of application. It can be used in disposable goods like rubbish bags, shopping bags, food bags, compact bags, plates, podotheca, gloves, tablecloth, raincoats and dust sheets; in cultural paper, such as printing paper, writing paper, advertising decoration paper, glazed printing paper, coated paper, membrane paper, drawing paper, poster paper, typing paper, flat envelops, cigarette paper, glassine and newspaper; in decorative building materials like decorative wallpaper; in industrial packaging field, such as seed packets, bags of cement, rice bags, garment bags, various handbags and paper boxes; in special aspects, such as field operation paper, underwater operation paper, undermine operation paper and military paper. Its range of use is really wide and will be wider with the development of rich mineral paper making technology. The cost of rich mineral paper goods is lower 20-30 percent than alternative paper goods so it has a powerful competitiveness and a bright market prospect. Decorative wallpaper, cartons, paper boxes, coated paper, cigarette paper, labels, cards, advertising decoration paper and flat envelopes; in special aspects, such as field operation paper, underwater operation paper, undermine operation paper and military paper. Its range of use is really wide and will be wider with the development of rich mineral paper making technology. The cost of rich mineral paper goods is lower 20-30 percent than alternative paper goods so it has a powerful competitiveness and a bright market prospect.